LAS VEGAS--(BUSINESS WIRE)--Rimini Street, Inc., (Nasdaq: RMNI), a global provider of enterprise software products and services, and the leading third-party support provider for Oracle and SAP software products, today announced the appointment of Pat Phelan as vice president of market research. In this new role, Phelan is responsible for research across the enterprise software market, including applications and technology strategies, software vendor support, third-party support, IT leadership trends and IT optimization. She also supports strategic planning, senior leadership discussions, business development and sales execution by providing enterprise software licensees with quantitative and qualitative strategic insights. “Rimini Street has always been far and away the clear leader in the third-party enterprise software support market globally, proven by its growth and enthusiastic and highly referenceable clients. Today, Rimini Street is bringing an even more innovative, smarter support vision to enterprise software licensees on a broader platform of supported products, including SaaS products like Salesforce.com, all designed to help clients leverage IT to support competitive advantage and growth. I wanted to be a part of executing this exciting vision and further disrupting the traditional enterprise software marketplace,” continued Phelan. Phelan has more than 37 years of packaged software application experience in various industries, including commercial manufacturers, service firms and government agencies. 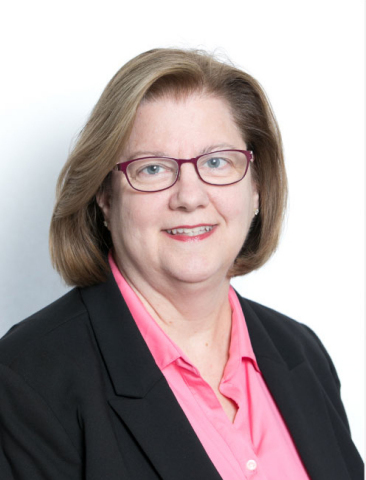 Immediately prior to joining Rimini Street, Phelan spent 18 years with worldwide analyst firm Gartner, where she served as research vice president for enterprise software and ERP products, and was the leading analyst covering third-party enterprise software support. During her time at Gartner, Phelan provided CIOs and IT leaders with research and advice on strategies and options for managing the business application life-cycle and costs, and published nearly 300 research reports on numerous topics impacting the enterprise software market. Prior to Gartner, Phelan managed the HR systems practice at Grant Thornton, and helped build an HR systems practice at Ernst & Young. She began her IT career at Marathon Oil Company as a systems analyst doing custom system design. “Pat brings a wealth of enterprise software industry knowledge, experience and insight that will benefit the Company and our clients as we continue to expand our portfolio of software support and products, and we are excited to have her join us,” said Seth A. Ravin, Rimini Street CEO. To download Rimini Street’s recent white paper authored by Pat Phelan, “The World of Enterprise Applications is Changing – Is It Time to Reroute Your ERP Roadmap?” click here. Certain statements included in this communication are not historical facts but are forward-looking statements for purposes of the safe harbor provisions under The Private Securities Litigation Reform Act of 1995. Forward-looking statements generally are accompanied by words such as “may,” “should,” “would,” “plan,” “intend,” “anticipate,” “believe,” “estimate,” “predict,” “potential,” “seem,” “seek,” “continue,” “future,” “will,” “expect,” “outlook” or other similar words, phrases or expressions. These statements are based on various assumptions and on the current expectations of management and are not predictions of actual performance, nor are these statements of historical facts. These statements are subject to a number of risks and uncertainties regarding Rimini Street’s business, and actual results may differ materially. These risks and uncertainties include, but are not limited to, continued inclusion in the Russell 2000 Index in the future, changes in the business environment in which Rimini Street operates, including inflation and interest rates, and general financial, economic, regulatory and political conditions affecting the industry in which Rimini Street operates; adverse litigation developments or in the government inquiry; the final amount and timing of any refunds from Oracle related to our litigation; our ability to raise additional equity or debt financing on favorable terms; the terms and impact of our 13.00% Series A Preferred Stock; changes in taxes, laws and regulations; competitive product and pricing activity; difficulties of managing growth profitably; the success of our recently introduced products and services, including Rimini Street Mobility, Rimini Street Analytics, Rimini Street Advanced Database Security, and services for Salesforce Sales Cloud and Service Cloud products; the loss of one or more members of Rimini Street’s management team; uncertainty as to the long-term value of Rimini Street’s equity securities, including its common stock and its Preferred Stock; and those discussed under the heading “Risk Factors” in Rimini Street’s Quarterly Report on 10-Q filed on August 9, 2018, which disclosures amend and restate the disclosures appearing under the heading “Risk Factors” in Rimini Street’s Annual Report on Form 10-K filed on March 15, 2018, and as updated from time to time by Rimini Street’s future Quarterly Reports on Form 10-Q, Current Reports on Form 8-K, and other filings by Rimini Street with the Securities and Exchange Commission. In addition, forward-looking statements provide Rimini Street’s expectations, plans or forecasts of future events and views as of the date of this communication. Rimini Street anticipates that subsequent events and developments will cause Rimini Street’s assessments to change. However, while Rimini Street may elect to update these forward-looking statements at some point in the future, Rimini Street specifically disclaims any obligation to do so, except as required by law. These forward-looking statements should not be relied upon as representing Rimini Street’s assessments as of any date subsequent to the date of this communication.